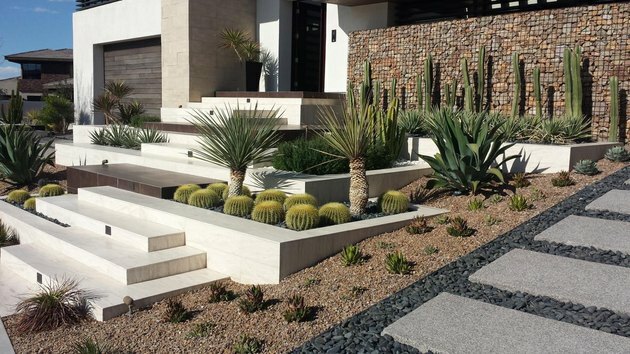 Desert landscaping is popping up in yards of all shapes, sizes, and locales of late, and we can see why. 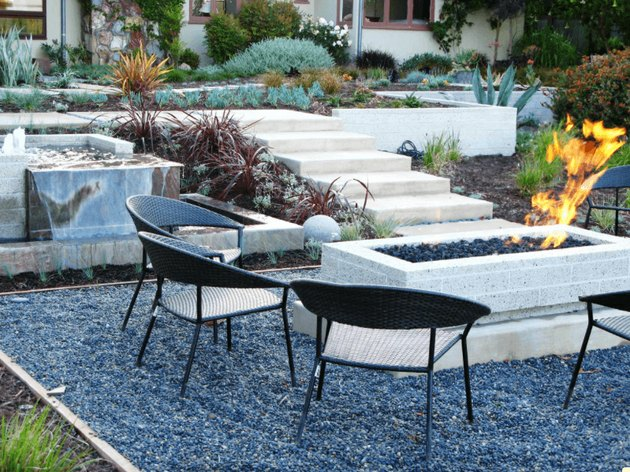 Not only does this approach create drought-friendly, long-lasting, and low-maintenance landscapes, but it also makes for all kinds of gorgeous outdoor creations. 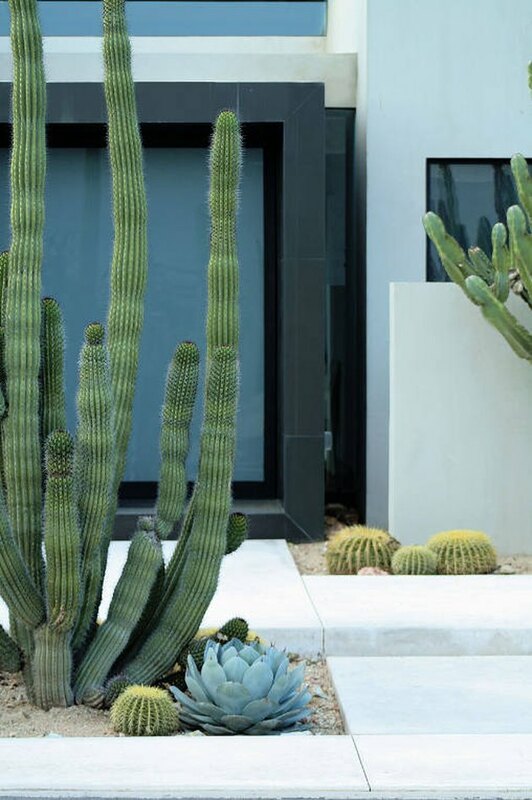 Whether you're interested in this trend because it's beautiful, you want to conserve water, or you have no other choices due to the climate, let these ideas inspire you to create a magical desert landscape that you can't wait to come home to at the end of your day. Sometimes less is more, but sometimes more is everything. If this stunning setup is any indication, you really can't have too many prickly prizes in your yard. First things first, start with hardscaping any paths or walkways. Next step, select low-water and drought resistant plant life. Now time for the fun part! 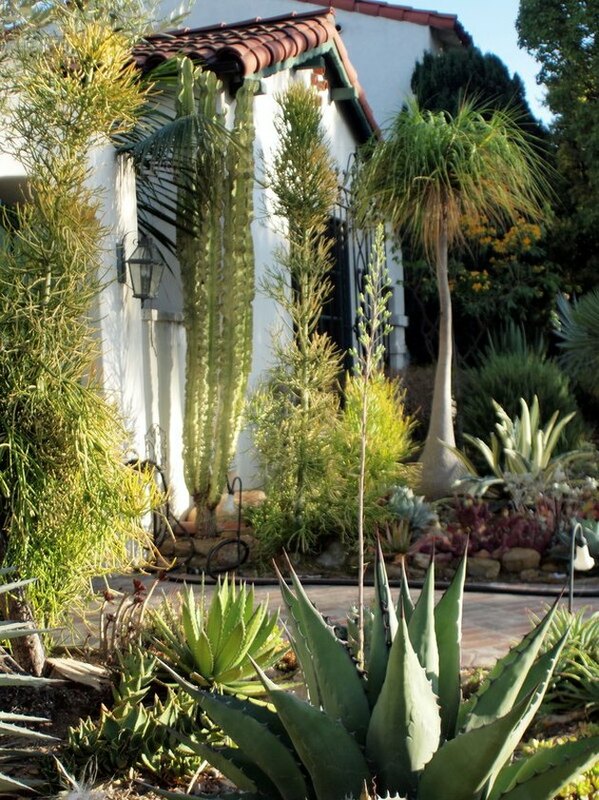 Start planting the larger items first such as palm trees and large cacti, and then fill in with with smaller options such as succulents, agave, or deer grass. Pro tip: Double check the ultimate size of a plant before you put it into the ground to ensure you have enough room in your yard once it reaches maturity. 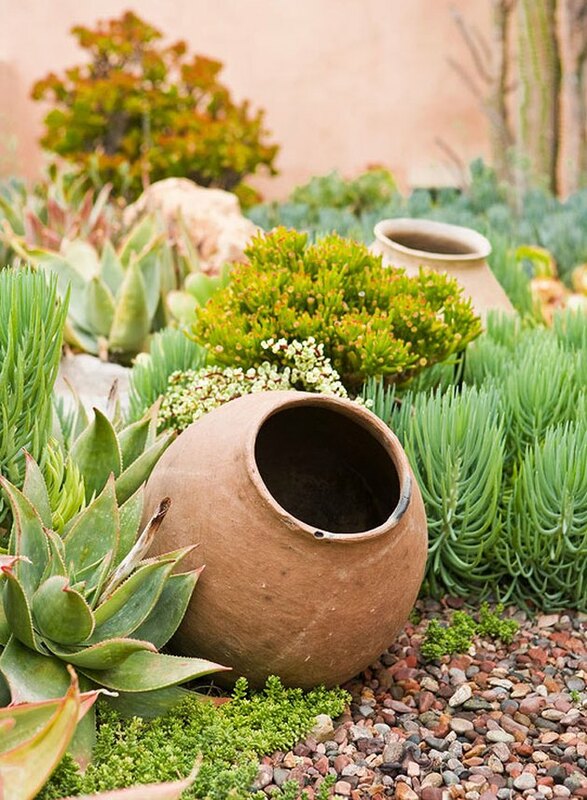 Just because you're going the desert route doesn't mean your yard can't be bursting with flowery goodness, too. Add low-water, colorful plant life to your landscape design for fresh, bold pops of color all year long. A few great options include the beautiful pink rosettes of bougainvillea; or enjoy the violet blooms and aroma of lavender from spring to fall; or the sedum spurium 'Voodoo' succulent which has a lovely burgandy coloration. Just as a monochrome color palette can make magic in your interior, it can also make your landscape design all the more striking. 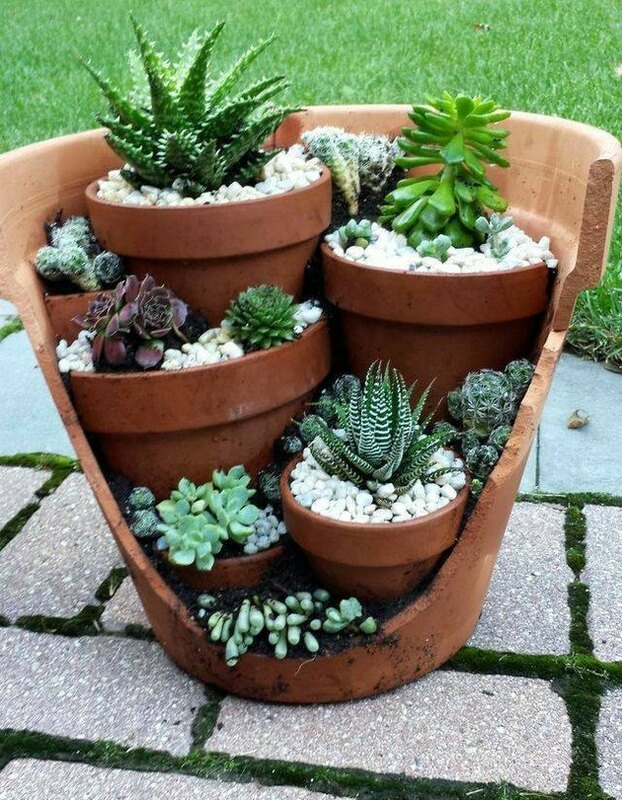 Rather than add your broken terra cotta pots to a landfill, consider crafting a gorgeous potted succulent garden like this one. 5. Match your plants to your home. Draw out your home's accent colors by adding them to your desert landscape for an ultra-cohesive and compelling look. 6. Play with multiple tiers. 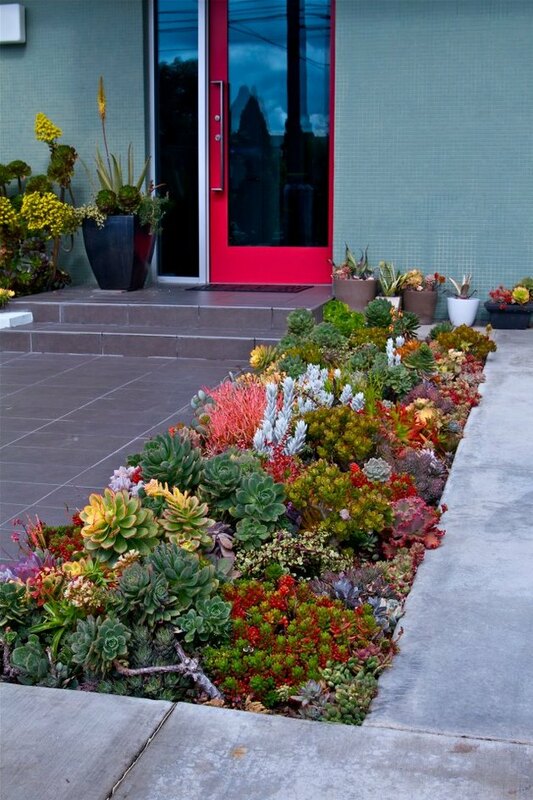 Create tiers of succulents and cacti for an enviably dynamic design. 7. Light on plants; heavy on design. Forgo the need to take care of lots of greenery by using varying sizes of rocks and a few small low-maintenance plants to cultivate a killer aesthetic instead. 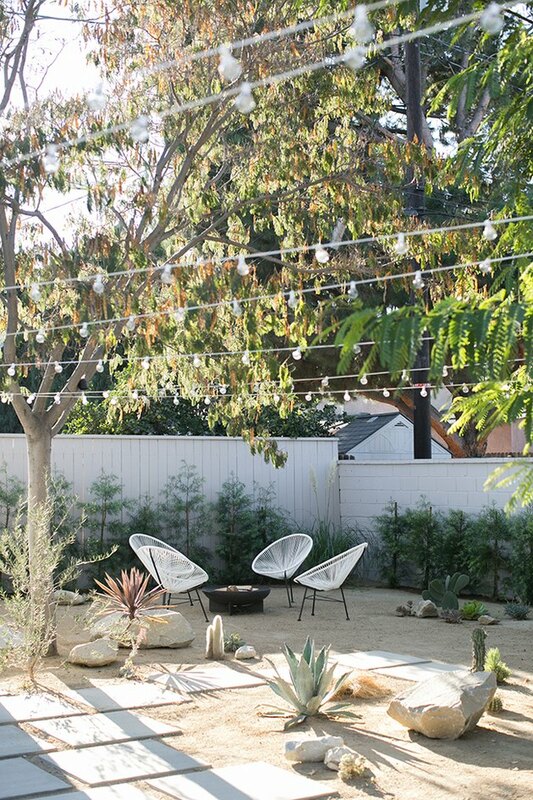 Throw in a few strands of outdoor lights to enhance your design once the sun goes down. 8. Put your decor to work. Invite your decor to interact with your landscape for a flawlessly inviting look that tells a story, like this one. 9. No space? No problem. 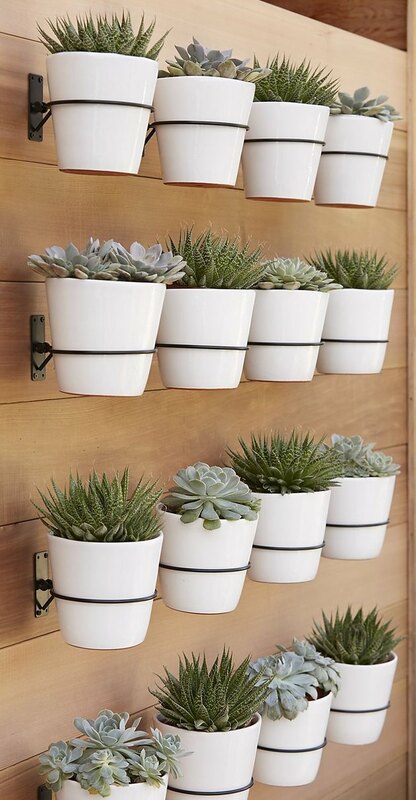 Whether you live in tight quarters or you simply love an adorable garden wall, you can't go wrong hanging a collection of potted succulents in your abode. 10. Replace grass with gravel. 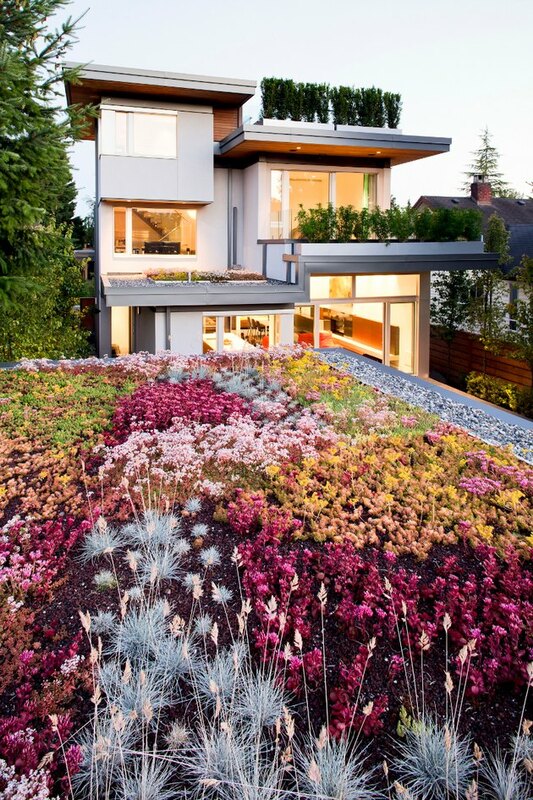 Who needs to waste water and time maintaining a lawn when you can replace it with a contemporary gravel option? Not you. 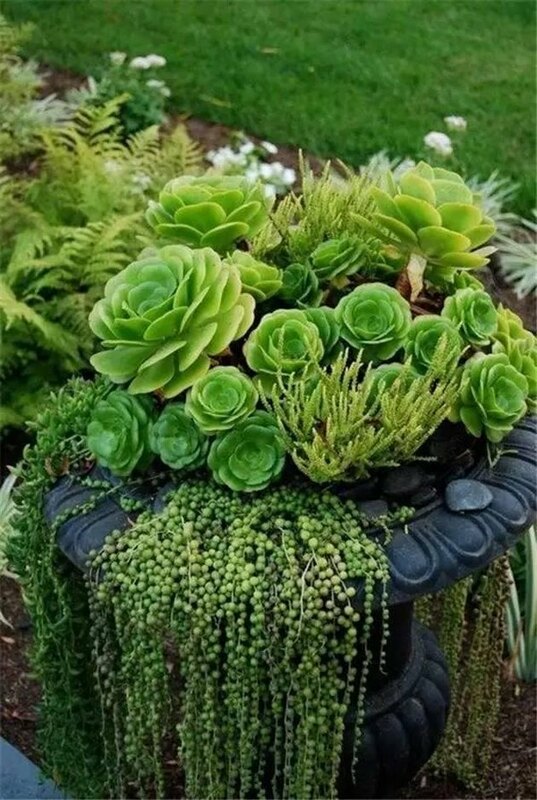 Equally sophisticated and intriguing, a birdbath turned cascading succulent garden will bring new life to your yard. 12. Show your artistic side. Sure, gardens on the ground are gorgeous, but artistic gardens? Well, they're nothing short of unforgettable.